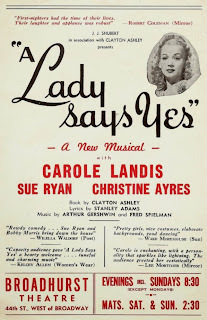 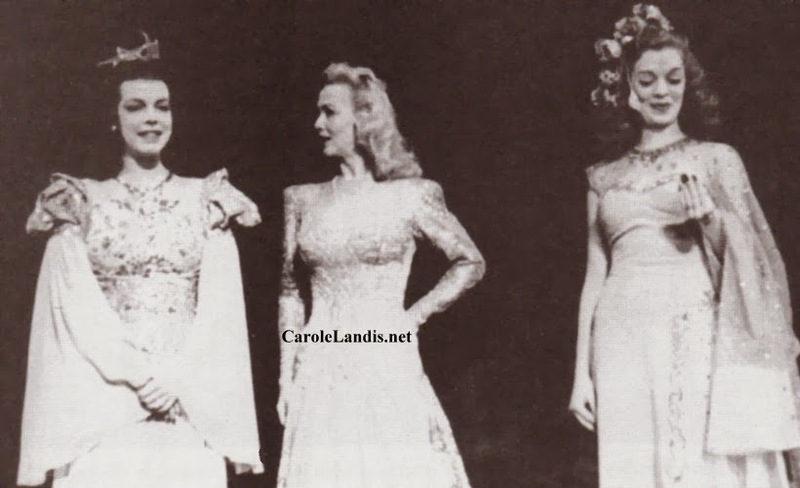 In 1945 Carole made her Broadway debut in the musical A Lady Says Yes. 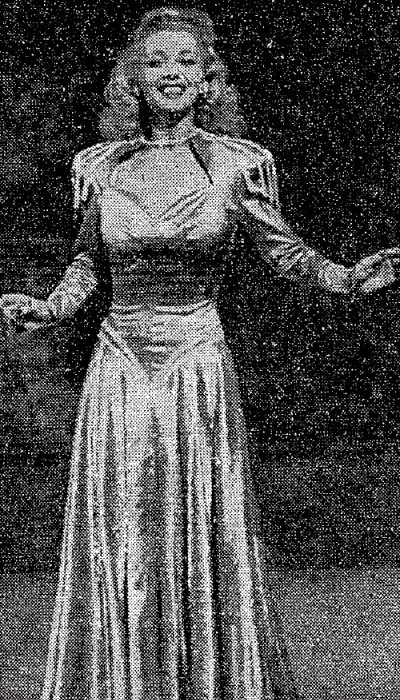 The plot was about a Navy lieutenant who hallucinates during surgery and imagines himself back in 1500's Venice. 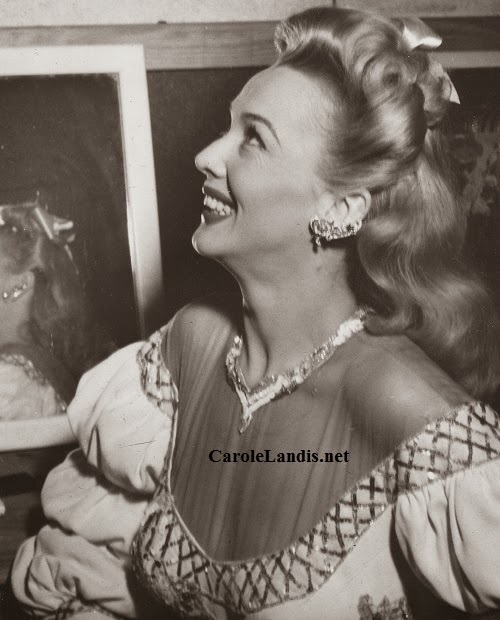 Carole played a beautiful seductress named Ghisella. 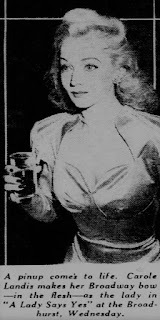 She got to sing several songs including "Without a Caress" and "Don't Wake Them Up Too Soon". 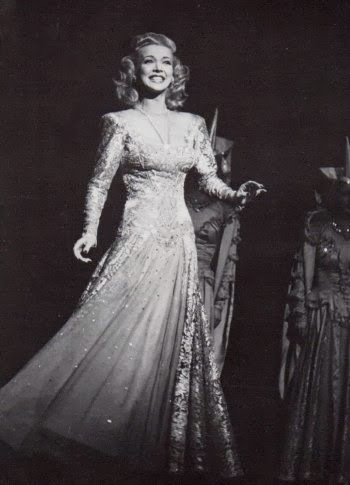 In a letter to a friend Carole wrote "It's fun to be in a musical again. We have songs by Arthur Gershwin and I think they'll be very popular. 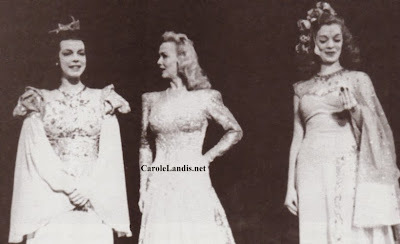 The costumes are lovely." Carole later said that George Jessell had convinced her to do the show. 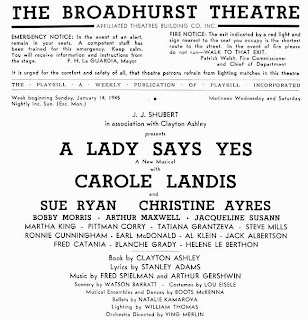 The cast included Sue Ryan, Christine Ayes, Buddy Morris, and Jacqueline Susann. 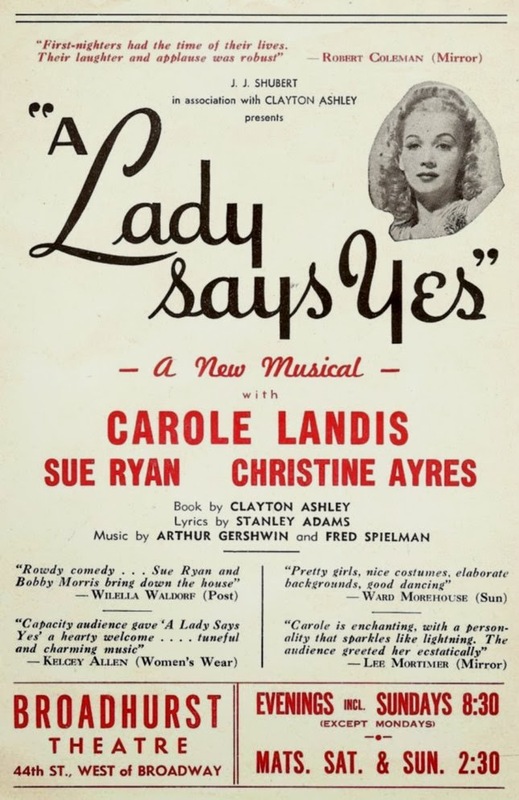 A Lady Says Yes was previewed on December 9, 1944 in Philadelphia. 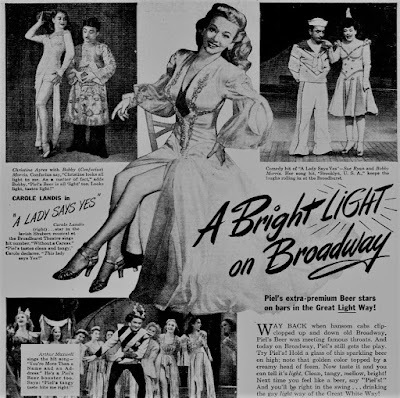 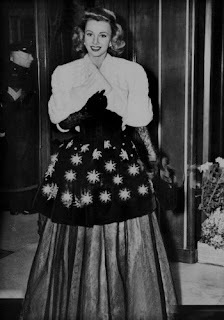 The show had its Broadway premiere on January 10, 1945 at the Broadhurst theater. 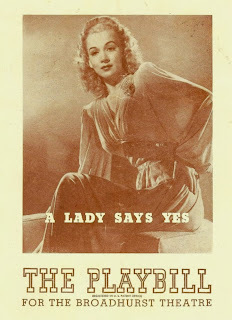 Unfortunately almost all of the reviews were negative. One critic said "the new musical is at best second-rate". 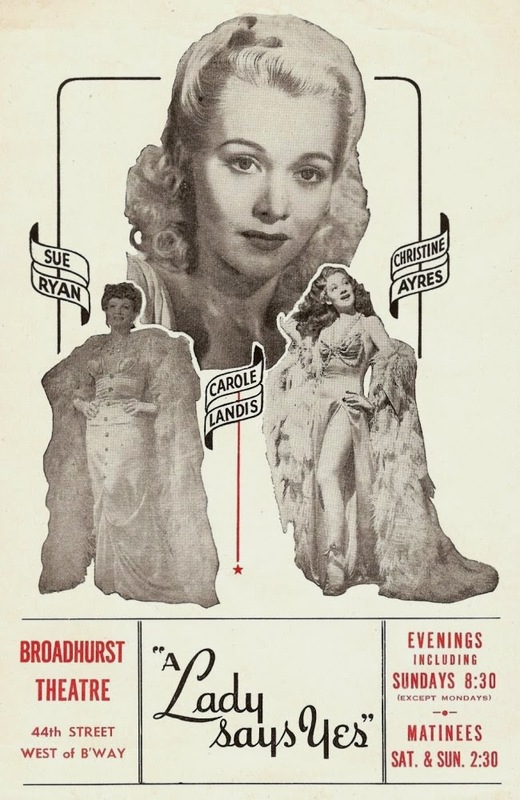 Carole's performance got better reviews but most of the critics focused on her appearance. 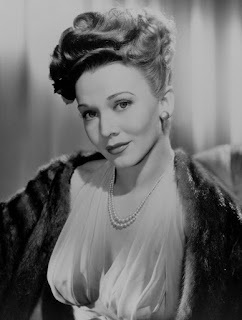 Walter Winchell said "The only good lines in it are those Mother Nature gave Carole Landis". 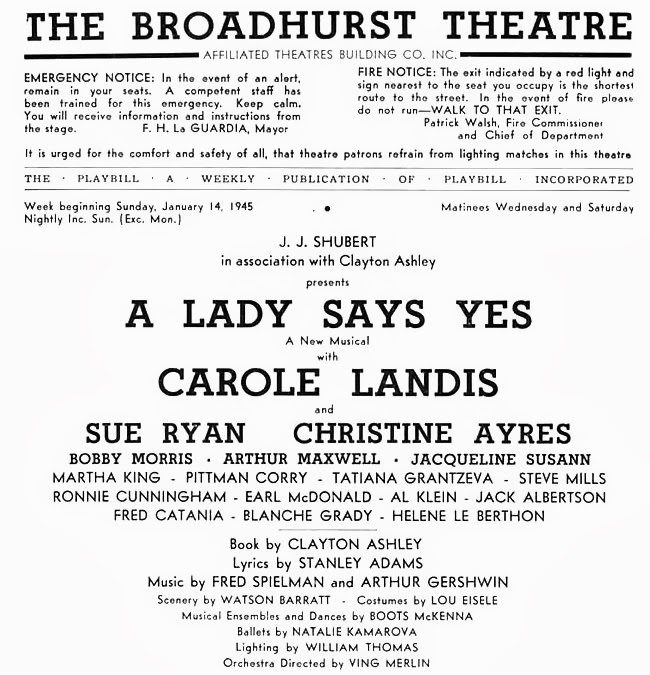 A Lady Says Yes was not a hit and it closed in March after only eighty-seven performances. 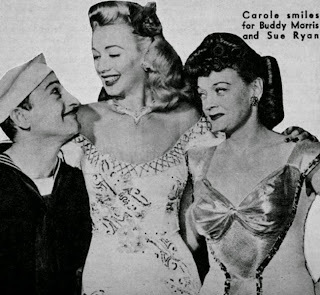 While working in the show Carole had a romantic relationship with her female costar Jacqueline Susann. In 1966 Jacqueline wrote the best-selling novel Valley Of The Dolls. The character of Jennifer North was based loosely on Carole.